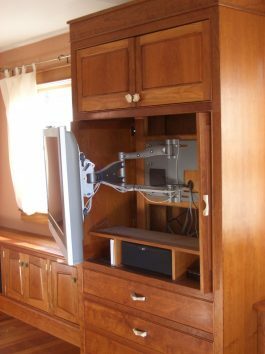 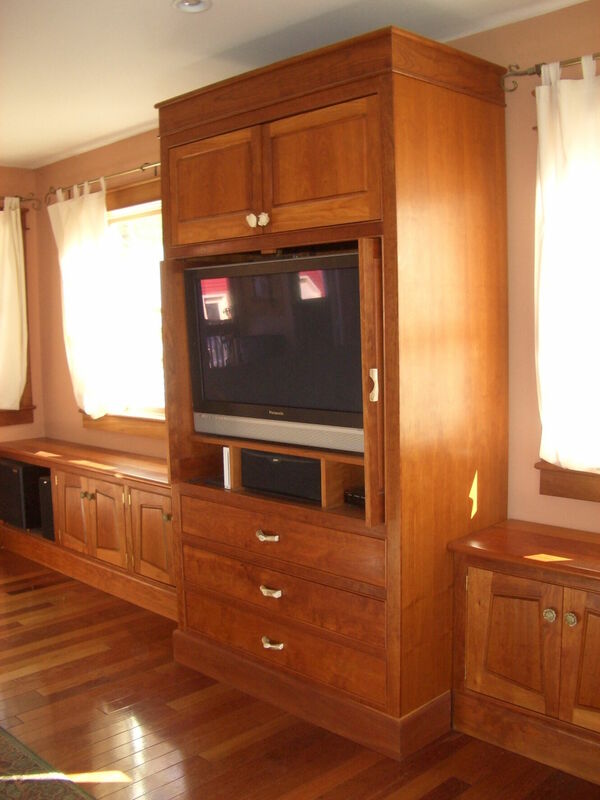 This cabinet entertainment center is room wide. 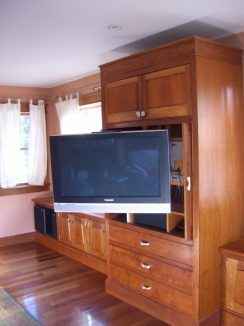 It is a cherry cabinet system featuring adjustable shelving, pocket doors, full wire access and component cooling. 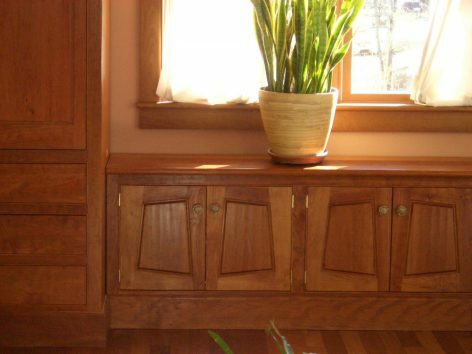 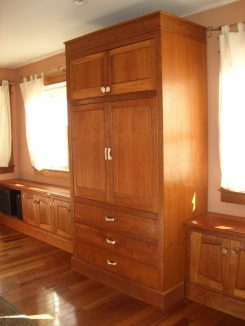 Irregular base cabinet doors.